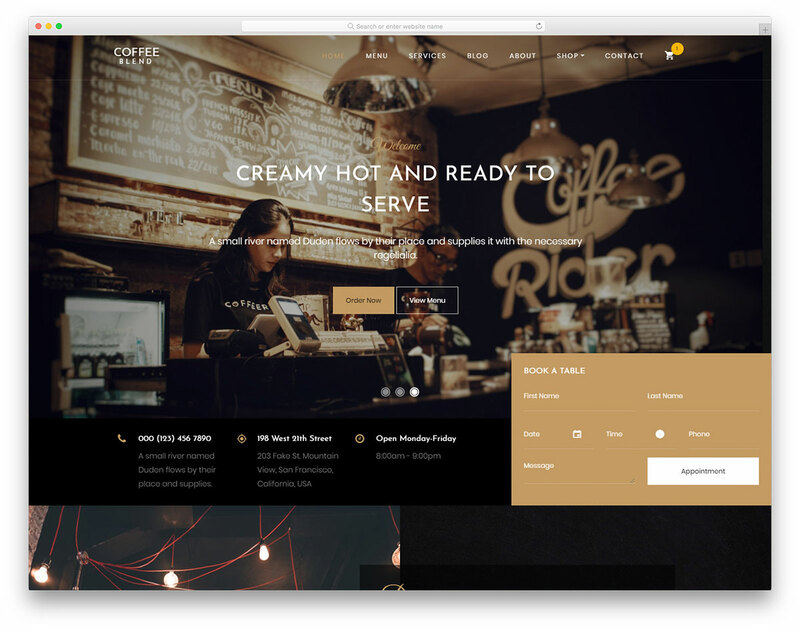 Save yourself plenty of time and effort with the best free food and drinks website templates available today. 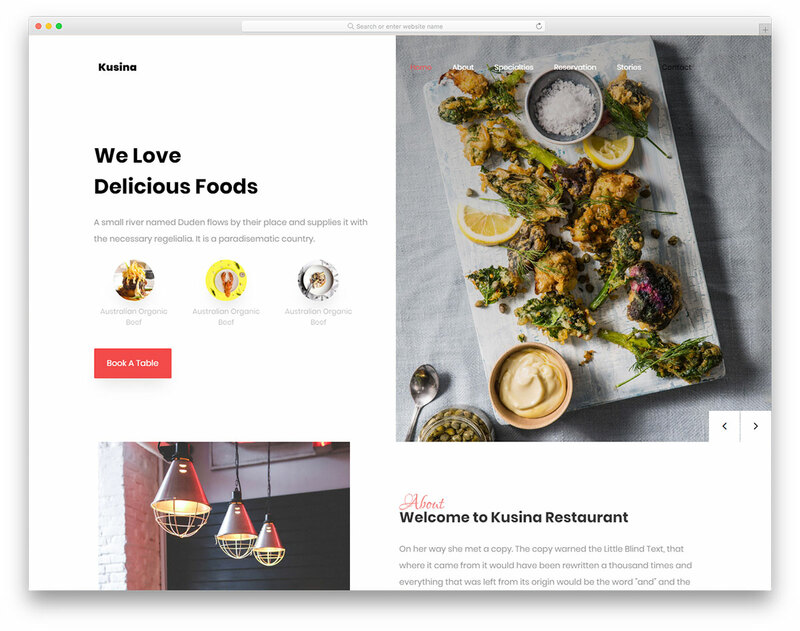 It should not take you long before you see first results and just a fracture more before launching a tasty and delicious food-based website. 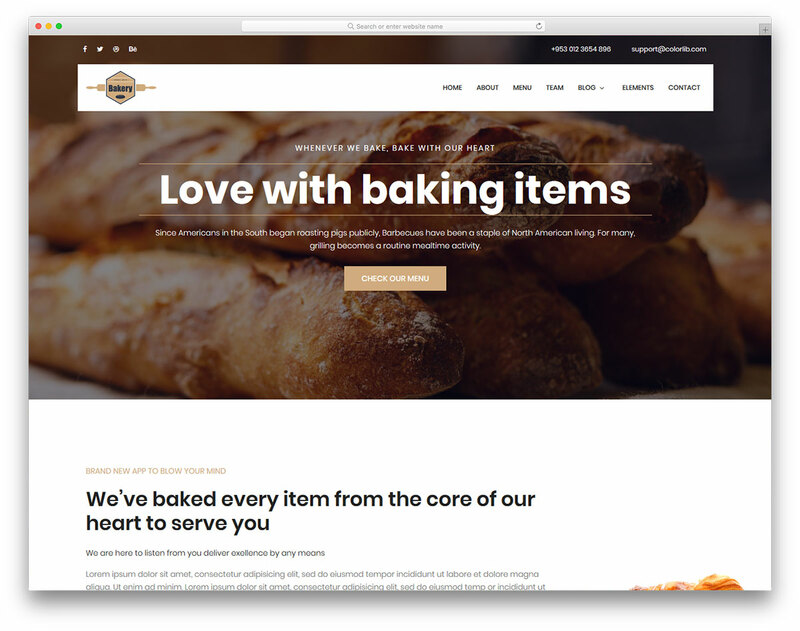 From restaurants and bakeries to hobby chefs, pizza shops and cafes, no one should be missing the must-have online appearance in this day and age. You might be leaving a ton of money on the table so get things sorted out with our handy tools ASAP. Your mouthwatering dishes deserve the extra shine which will take your business to the next level. 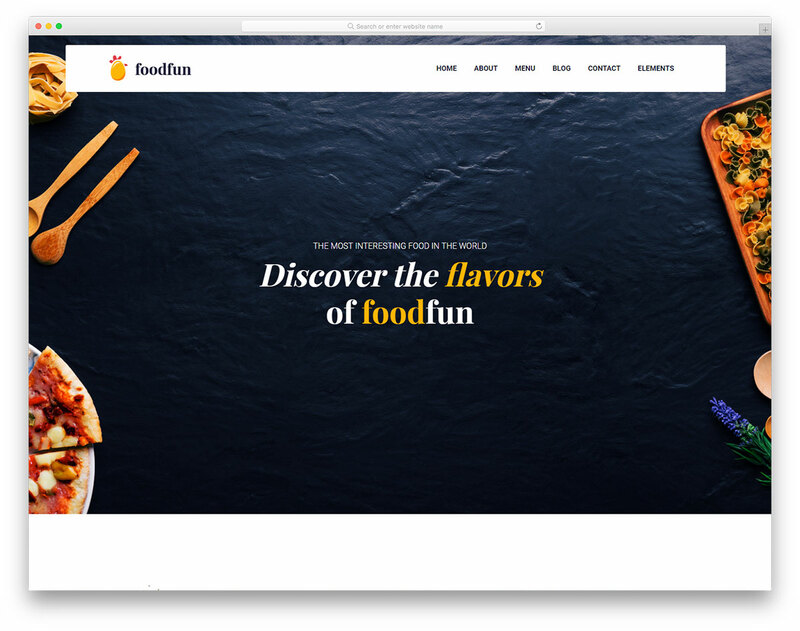 Salivate mobile and desktop users and turn them into loyal customers all thanks to the food template you are about to pick. 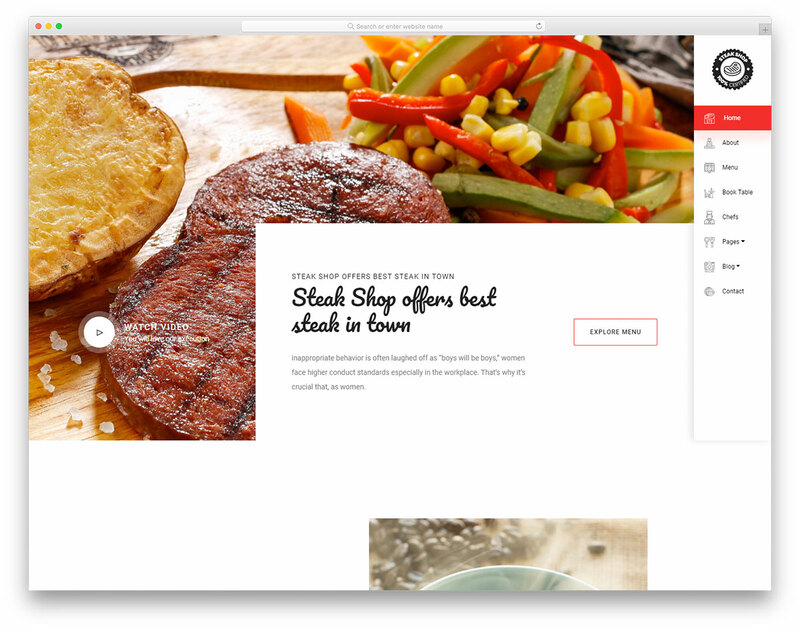 If you are looking to present your amazing restaurant online, Steakshop is the free chophouse website template you should study further. Get meat lovers to indulge in your tastiness. 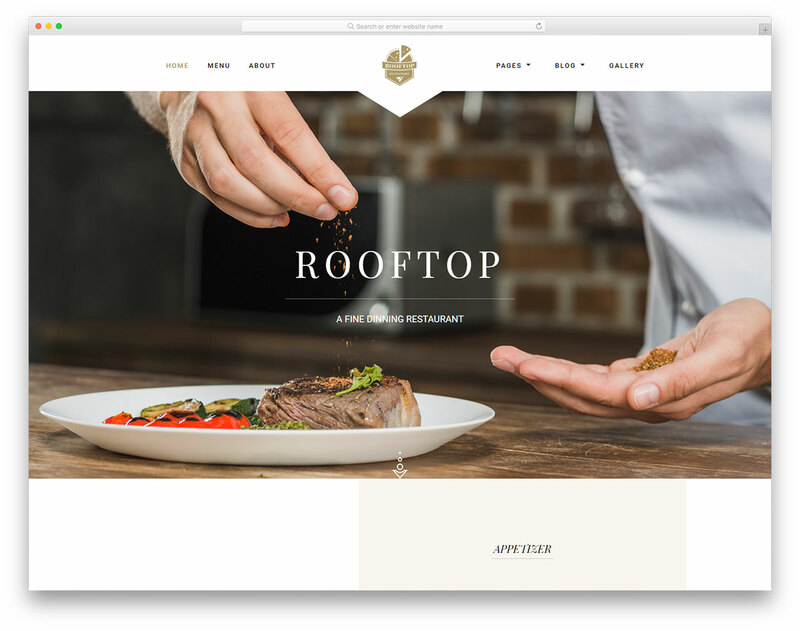 If you run a food business, you will surely want to check out Rooftop free responsive restaurant website template. Winning over fresh & loyal customers is a breeze. 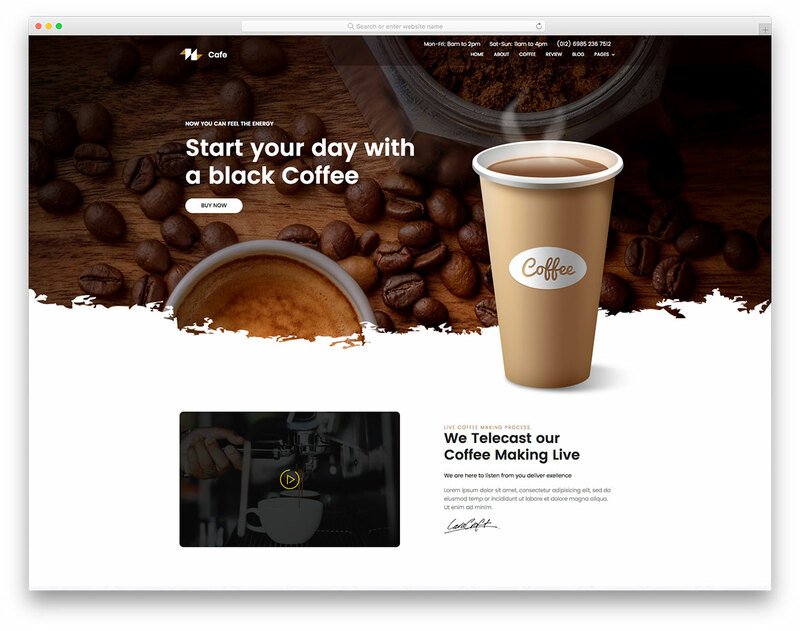 If you missed your cup of joe today, make sure it is the next thing you have after checking out this free Coffee shop website template. 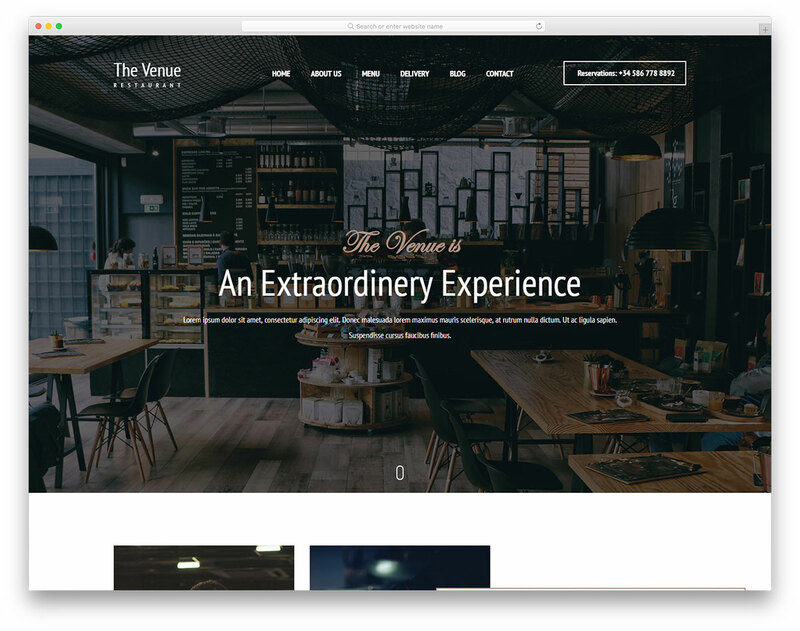 Any website built with the template has a professional and personal touch to it.